FORT WASHINGTON, PA (January 13, 2016) – M3 Global Research opens its first U.S. research facility, M3 Philadelphia Studios. Located on the 30th floor of the ONE Liberty Place Complex, 1650 Market Street, the studio provides the healthcare community and the consumer goods industry with custom AV technology and superior market research recruiting. M3 Global Research already has an established studio in Hammersmith, London serving the European market, making the U.S. the second global location. Lindita Mezani, Vice President of Market Research and the Philadelphia Studio Manager, brings over fifteen years of experience conducting global market research based in the Philadelphia area. Prior to joining M3, Lindita served as Managing Director for Schlesinger Associates’ Philadelphia and Bala Cynwyd facilities. She is an active member of the Market Research Association and PRC certified. 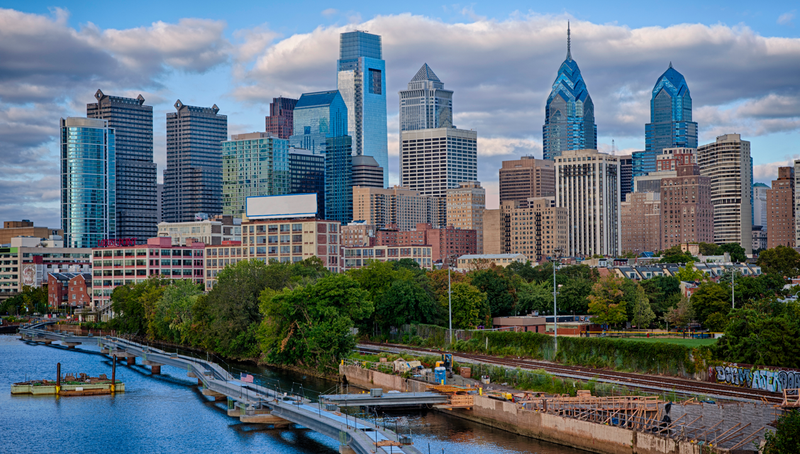 M3 Global Research’s services and studio capabilities accommodates research needs of the most demanding markets and demographics in the U.S., targeting a diverse and ascending community of healthcare professionals and consumers in the Philadelphia area. The space is conveniently located in Center City Philadelphia offering three spacious focus suites with HD streaming available, Wi-Fi throughout the studio, a non-traditional viewing room with interactive video wall, custom AV technology, and the largest conference room in the market. The conference room is suitable for mock trials and taste tests. A proprietary app provides timely updates to clients and respondents while they are in the studio. The wall art to decorate M3 Philadelphia Studios was purchased from Fresh Artists Corporate Art Program as part of the organization’s core value of giving back to the community. Fresh Artists specializes in the reproduction of K-12 children’s artwork, and all proceeds support saving art education programs in Philadelphia public schools. For more information on capabilities and booking a project please contact the studios at phlstudios@usa.m3.com or 215-525-6191. Photos of M3 Philadelphia Studios are available here. M3 Global Research provides the most comprehensive and highest quality market research recruitment and support services available to the global healthcare industry with relationships with over 2 million physicians in more than 70 countries worldwide. M3 Global Research operates an ISO 26362 certified panel with the highest quality data collection and project management capabilities that cover the spectrum of quantitative and qualitative techniques utilized today. The quantitative and qualitative research services incorporate all of the most advanced statistical and attitudinal methodologies allowing clients to provide world class offerings and support services to their end-client customers throughout multiple industry sectors.